Newton's Nook Designs: Happy Thanksgiving from Newton's Nook Designs! Hope you are having a Wonderful Thanksgiving holiday today and are relaxing and spending time with your family and friends! 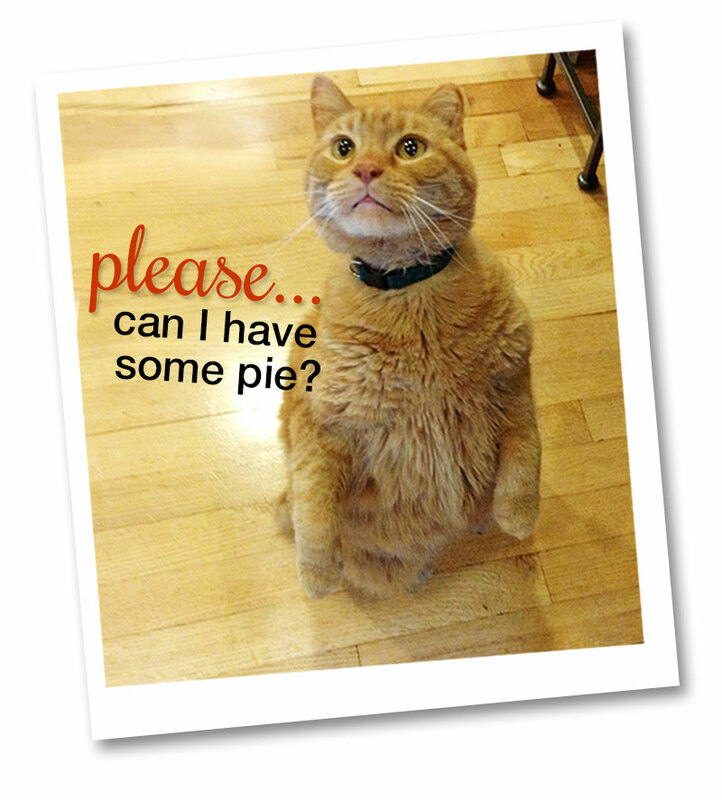 If you have any left over turkey or pie, Newton would be glad to help you out with that! No joke, he really would try to eat pie - he loves cookies and coffee too! He's such a silly kitty! Does anyone else have a kitty or puppy who likes coffee and cookies? Here's a pic above of his usual "begging" stance! Today I wanted to share this fun Fall Card - I sent this to my family in celebration of Thanksgiving! This card uses our Falling into Autumn stamp set. This set is so great because you can create beautiful fall and thanksgiving cards but you can also just use it to say thank you for any occasion! I stamped the leaves with various ink colors on watercolor paper and then before they had completely dried I went over the edges with a water brush to give it that fun "painterly look" I love this effect! Make sure to head over to newtonsnookdesigns.com tomorrow to save! Happy Thanksgiving to you and your family! And yes, I had a kitty, Peevey, who loved baked goods! Once he tried to steal my brownie by slowly sliding the plate towards himself! Here's hoping Newton gets a little treat today! Happy Thanksgiving to you and your family! Newton is such a cutie pie! I love his begging stance. My boy kitty, Mozart, will try to eat anything. Last Chinese New Year's he got to our red bean moon cakes and had red bean all over his face lol! My two kitties only eat cat food, but my new kitty (Brian's cat) loves human food - she always wants to check out what we're eating! Your card is beautiful! I'm going to check out your sale!.